(Cape Canaveral Air Force Station, Fla., March 15, 2019) A ULA Delta IV rocket carrying the WGS-10 mission for the U.S. Air Force lifts off from Space Launch Complex-37 at 8:26 p.m. ET. Earlier this week an issue that caused a slight delay in the launch date had been taken care of and proceeded smoothly until today when United Launch Alliance's (ULA) Delta IV rocket carrying the tenth Wideband Global SATCOM (WGS) satellite for the U.S. Air Force lifted off from Space Launch Complex-37. 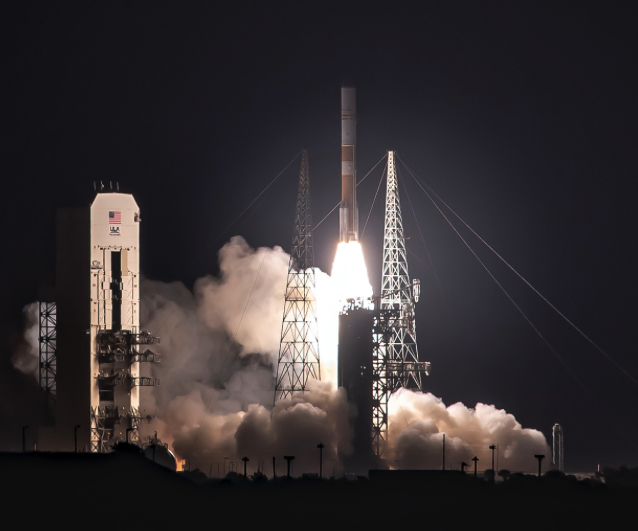 Cape Canaveral Air Force Station, Florida, (March 15, 2019) – A United Launch Alliance (ULA) Delta IV rocket carrying the tenth Wideband Global SATCOM (WGS) satellite for the U.S. Air Force lifted off from Space Launch Complex-37 on March 15 at 8:26 p.m. EDT. ULA has been the exclusive launch provider for all ten WGS satellites. About ... 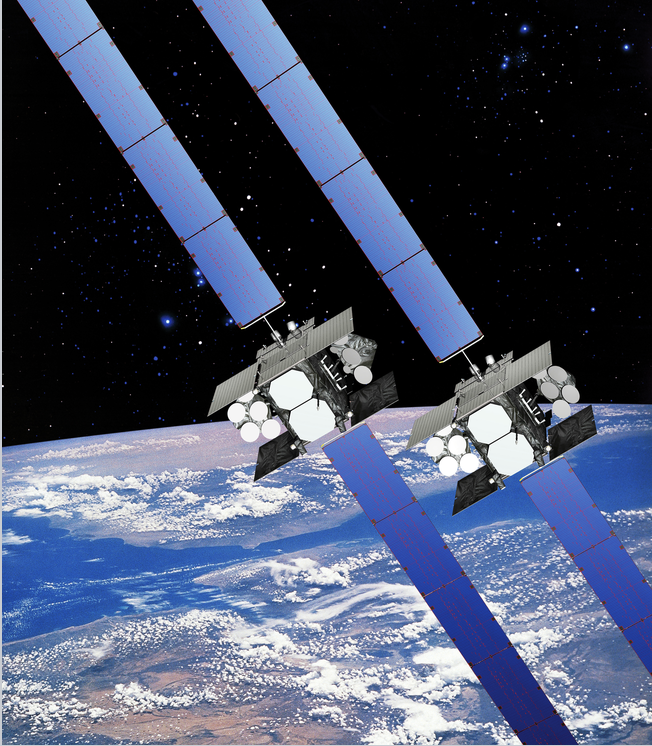 The 10th Wideband Global SATCOM (WGS-10) satellite, the fourth Block II follow-on satellite, supports communications links in the X-band and Ka-band spectra. 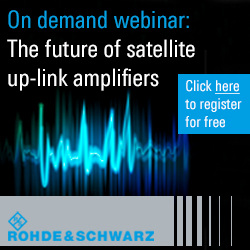 While Block I and II satellites can instantaneously filter and downlink up to 4.410 GHz, WGS-10 can filter and downlink up to 8.088 GHz of bandwidth. Depending on the mix of ground terminals, data rates and modulation and coding schemes employed, a single WGS satellite can support data transmission rates over 6 Gbps, and WGS-10 with its advanced digital channelizer may support over 11 Gbps. 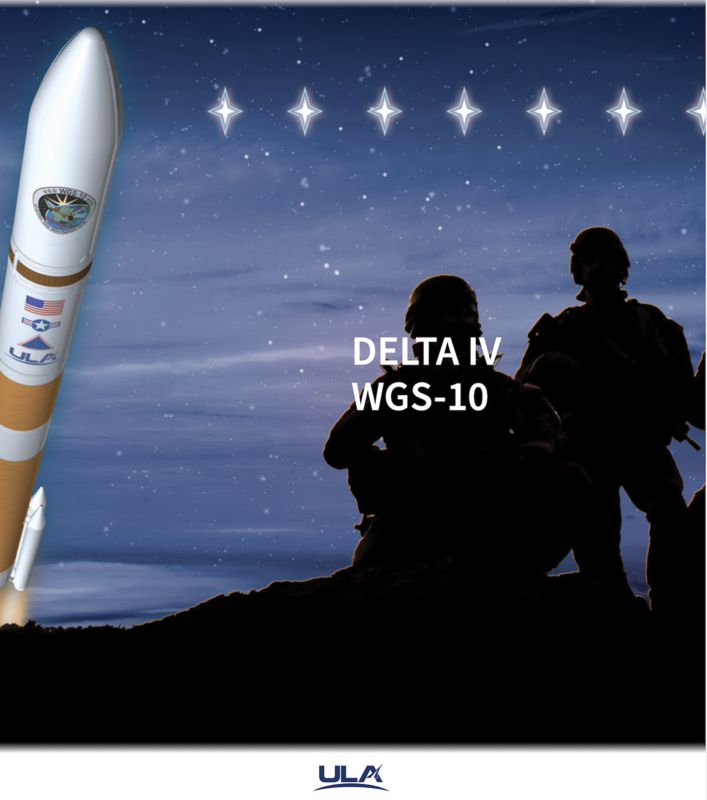 Launch Notes ... WGS-10 will be the eighth flight of the Delta IV in the Medium+ (5,4) configuration; all launches in this configuration have delivered WGS missions to orbit. This mission also will be the 39th launch of the Delta IV since its inaugural launch in 2002. WGS has 19 independent coverage areas, 18 of which can be positioned throughout its field-of-view. This includes eight steerable/shapeable X-band beams formed by separate transmit/ receive phased arrays; 10 Ka-band beams served by independently steerable diplexed antennas; and one transmit/receive X-band Earth coverage beam. WGS can tailor coverage areas and connect X-band and Ka-band users anywhere within its field-of-view. The X-band phased array antenna enables anti-jam functionality without sacrificing performance. This will mark the second to last flight of the single-stick Delta IV rocket that is being phased out in favor of ULA’s Atlas V and Vulcan vehicles that are more cost-effective; Delta IV Heavy will continue flying into the 2020s with assurance of the extra hardware established before production ended. WGS builds the high-throughput component of the U.S. military’s communications system, operating alongside the U.S. Air Force’s AEHF program that provides tamper-proof, ultra-secure communications and the Navy’s MUOS mobile communications system – both designed for more resilient communications, but operate at much lower data rates than WGS. Five globally-located Army Wideband SATCOM Operations Centers provide 24/7 payload monitoring and command and control of the WGS constellation. Each Global Satellite Configuration and Control Element has the capability to control up to ten WGS satellites at a time. Spacecraft platform control and anomaly resolution is accomplished by the 4th Space Operations Squadron at Schriever Air Force Base in Colorado Springs, Colorado.